Today we launch our new car hire campaign, alongside the Spanish consumer group OCU. Together we’re calling on car hire companies to end all unexpected extra charges and play fair with their fuel policies. I have a confession. Although I do have a driving licence, I’m too scared of driving abroad to hire a car on holiday. I’m even more put off since reading all the car hire nightmare stories you’ve shared with us here on Which? Convo! Not only would I have to drive on the wrong side of the road, but I might also have to deal with car hire sales people trying to sell me extras like sat navs. Or I might get hit with an additional, non-refundable charge for fuel that wasn’t made clear when I booked. Holidays are meant to be a chance to relax and I don’t want my break ruined by getting ripped off on day one. Lots of you have complained to us about some car hire companies using full-empty fuel policies. This is where people have to pay for a full tank of petrol on arrival, but aren’t offered refunds for returning the car with unused fuel. We found nearly three-quarters of those who did this thought they’d been ripped off by being forced to pay a fuel price that was higher than local garages. Full-empty might sound convenient at first, but someone hiring a Fiat 500 would need to drive 550 miles to empty the tank. In Mallorca this would be enough to make the 80 mile round trip from Palma airport to Port de Pollenca on the other side of the island nearly seven times. Our investigation found that a number of companies do offer a fair fuel policy, such as Alamo, Enterprise and Autoreisen. All three offer a full-full fuel policy in Spain, where people return the car with a full tank as standard, so don’t pay for fuel they don’t use. • Be upfront about all extra charges, such as for fuel or insurance, so people aren’t forced to pay more before they can drive away, and can more easily compare deals. • Only charge consumers for the fuel they use and offer a full-full policy as default. • Ensure they offer fair fuel prices, which are in line with the local price. Together with Organización de Consumidores y Usuario, we will be asking the Spanish consumer authorities to take action to protect all consumers from unfair fuel policies and we’ve already shared our concerns with the Competition & Markets Authority in UK. We’ll also be making noise at a European level about your concerns, including getting in touch with the recently elected MEPs to seek their support for action on rip off car hire. Have you been caught out by car hire companies, like Alan? We’ve had some welcome news from the Competition and Markets Authority (CMA) on car hire in the UK. The regulator has written to 25 car hire comparison websites to call on them to ensure that motorists are shown the true cost of hiring a car before they choose to rent one. 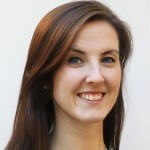 ‘The CMA is right to be tackling hidden costs and sneaky practices in the car hire industry. Our research has shown some car hire brokers aren’t being upfront about the true cost of car hire. The Competition and Markets Authority (CMA) has announced an investigation into two car hire price comparison websites suspected of charging customers hidden fees. The CMA is concerned the unidentified sites are breaking consumer law by imposing unforeseen costs including fuel, late night vehicle collections and drop-offs. In addition, the regulator has also written to 40 car hire companies requesting they maintain standards and improve the accuracy and clarity of their own online information. It also wants to see the inclusion of all extra charges in the price customers first receive, including fuel pricing policies and warnings about high excess, deposit amounts. We don’t think it’s right for people to be hit with hidden charges and unexpected fees when hiring a car, or purchasing any other product for that matter. Car hire sites must improve their practices and be upfront about any charges so consumers can make an informed choice at the time of booking. What are your experiences when hiring a car? Have you had to pay any surprise costs? Hi There, I am wondering if you are also helping combat the fraudulent activity that is going on. I recently hired a car via DoYouSpain who referred me to Ok Rent A Car. I have had this experience. Hired a car. It broke down on within a few hours of me having the car in my position. This was not a dent or a scratch. The wheel alignment was dodgy. I pulled over and called for the tow truck, to avoid any damage being done and I had to pay for the tow truck. I have witnesses to say that nothing was done to my vehicle – It was driving fine – I returned and drove it off 3 hours later and it was like a flat tyre, because the car was continuously going off to one side – what was wrong was the 2 front wheels where going different ways, so were misaligned. They charged me 600 Euros plus 240 Euros for the tow truck. They have provided me with a list of charges but no photos from them of what is wrong with the vehicle. I at the moment have no way of reclaiming the money back other than through the insurance company, which I will not do because the damages had nothing to do with me. The company currently don’t know how much evidence I have. I am looking for any support possible as I am not made of money and 840 Euros is a huge amount of money for me at this time. Please help me and others in the future from having to put up with this. Do you Spain…….do you ever reply to emails……no i don’t think so……. Record Go stole my wallet, were very aggressive sand ignore all comms. Escalated to CEO and Police, no response. Booked a car through rentalcars. com… What a mistake. I was rushing over to menorca August 2016 where my sister had accident and was at airport and decided to see about renting a car through my phone. I went through the usual online process of entering details (flight number, time of landing and then credit card number) then it said proceed with booking expecting to put details in about driving licence etc but unfortunately didn’t have licence with me so pressed the back button to get off site. Then email came through saying booking confirmation.. Shocked I went back on to manage my booking and pressed cancel all within 30 secs and now I have been charged £110 cancellation fee…. Just so no one else falls into this trap..
Service charge €18.68, SCDW €66.08, vat €27.21 and another unexplained €40.00 . Total €223. I was told that if I didn’t take out insurance with them that I had to pay €1000 deposit. When I tried to cancel they said that they were unable to contact my agent and were ‘unsure’ what the cancellation charge would be. 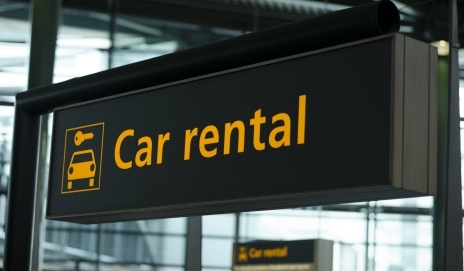 Car hire companies need to list all charges at point of booking in a similar way that low cost airlines in order to avoid a situation as outlined above. I had no choice be to take the car. I was travelling alone. I arrived late so there were no public transport options available. The final cost to me was almost 10 times my original quote. I have just returned From USA how can you make an informed choice when the companies hide additional charges I researched the internet and for 12 days I paid upfront £256.99 with Dollar on my arrival I was told this did not include personal injury liability, Fuel charge, and toll pass charges. Having just arrived I was to tired to put up much of debate about the charges and paid. I have just received the final bill for another £316.93. with a transaction bank charge of £8.72. taking my total bill for twelve days to £582.64. this represents over 220% of my original bill. I do not know any other sector that can more than double charges how can customers budget for these extra charges. I feel there is little or no control on the Hire companies they seem to plunder customer bank accounts. To add insult to injury despite booking the car nearly eight weeks ahead this type was not available they upgraded me for the same price, the SVU had no sat Nav they could supply one for an extra charge they only had no chipped car key and every time the passenger door opened the alarm went off. and the appearance was tatty. I challenge the customer service agent at the return who just shrugged his shoulders. NEVER again Dollar how can I make an informed choice in future? The Which? campaign has spectacularly backfired. Hiring with Budget through AutoEurope in Spain I could hire full to full. Now with Budget there is only the possibility of buying a full tank and a compulsory 19 Euro refuelling charge. Budget at the moment are the cheapest of the main hirers in Fuerteventura. Having tried Auto Reisen (the Which? recommended supplier) in Fuerteventura and Tenerife I would not use them again. So what you are saying is either way you are going to be ripped off so like it or lump it. Your Which conversations are so far behind the curve. Forget the banking scandals, PPI, endowment miss-selling etc. The car hire rip offs have gone into overdrive. The credit card companies are turning a blind eye to wholesale criminal practices. They are being hammered by section 75 credit card refund claims but seem content to sit on their hands. They along with the criminal car hire firms must be making a packet. Search engine companies like Travelsupermarket are also complicit. Where are the regulators? Where is Which. What happened to consumer protection. Wake up! People are being robbed. EU needs to take action to stop this inter Europe travel ripoff. Used Argus Car hire for a 3 week trip to the US, the stateside company was Fox. I paid in full before travelling only to incur an $880 bill for insurance. The ‘agent’ told me “I was good to go, you’ve got everything and don’t need anything” I signed for the ‘car’ on a blank signature only LCD screen (this is normal procedure), at the end of the process he said that’ll be $880, when I refused to pay he said he would cancel the entire booking, he told me it was state law (which it wasn’t) I was completely conned into signing the blank screen. I raised the issue with Halifax (card provider) Fox and Argus, who refused to help on the basis that I’d signed. I stated clearly that I was told by the Fox agent “I didn’t need anything extra” I willingly signed for the car, AT NO POINT WAS I SHOWN THE DUE BALANCE, the screen was a signature only screen. This is by far the single biggest con trick from a supposed bona fide company. I’m certain this is their entire pitch, everyone before me seemed to be charged extra for something. I was sitting comfortably, and when he told me I had everything, I naturally assumed I was signing for the car, not an additional $880 The Fox agent openly ‘lied’ openly mislead me. I kept copies of all paperwork, sadly money and greed prevented me from receiving a refund. It disgusts me to think you can be treated this way. It has put me off ever hiring a car in the US again. It is very supportive and useful post. I am glad to find it. There are so many developers working on this part but this is one of the best innovative post ever. Thanks for such post. I have a similar problem to many listed on this blog. I rented a car for pick up at Larnaca Airport in Cyprus via Holiday Autos. For peace of mind, I purchased additional insurance from Holiday Autos only to be told by the supplier (Europcar) that they wouldn’t release the vehicle to me unless I paid them EUR 200 for their insurance. There was no real option to refuse – either paid up, or forfeit the already paid for rental and find an alternative means of getting to my destination. It’s been a month since I returned from Cyprus and all I get from the ironically named Customer Care Team at Holiday Autos are emails saying they refuse to give any refund. Feeling well and truly ripped off!
. I recently hired a car in Catania Italy from Enterprise (Locauto) via Holiday autos. When I picked up the car I spent some time checking the car over. After my short trip I returned the car was told that there was a chip on the windscreen for which I am now liable. The chip was small and if it was there when I picked it up then I had not seen it. However I was suspicious because the rental staff member had not inspected the screen but came up with this fault. However, I could not prove that it had already been there so there was nothing I could do. My issue is that the next day I received an invoice for the damage amounting to £506. There was a small admin charge and tax included but the major part of the invoice was for what was termed damage compensation. There was no indication that any action was taken in respect of the alleged damage or if any action was taken what that was. • The stonechip that was the damage concerned in my view was repairable without the need for a new windscreen. The amount seems excessive. • The amount I have been charged is termed as compensation and does not relate specifically to action deal with the damage. • The car may be hired again with the same damage if indeed the company took no action. Another customer may not spot such a small chip and be charged for the same damage. • I sought further detail in an email message on the company website but did not receive it and now the link to send a message does not function. A telephone number simply refers you to the website. I recently hired from Marbesol in Malaga. When I arrived told need to take out their insurance 120 Euro for 4 days . I declined politely as have my own insurance. A heated debate followed for which I was informed that if I did not I would Have to Pay 40 Euro refueling bill. I still refused his final comment was ‘ Don’t worry Sir we will get our money ‘ . The car was cover in marks which believe were recorded on there overview sheet. I went around the car in dimly lit area. Highlighted further damage. Returned the car without incident. Within seconds over me handing back sheet 3 tiny areas of scratches were highlighted that are argued were on the original sheet [ and you could polish out ]. At a cost 540 Euros further debate took place but I had a plane to catch and they knew it . It is fraud, theft and bullying. It is disgraceful and they are allowed to continue unchallenged with nobody taking any form of legal redress. Ditto on the Marbesol. Been using them from Malaga for a few years now, and used to most of the scams. I always thought them to be just as ruthless, but at least a bit more transparent with their pricing than the rest. In February, having checked the car beforehand, and with no incidents, I still had to pay for two tiny marks which were found. My insurance refunded me the 250 EUR cost and I put it down to not having checked the car thoroughly enough – next time I would be ready with a torch and video etc. Problem was next time, despite having my pre-booking accepted online as a Marbesol ‘ VIP ‘ , they informed me on arrival that my booking had been blocked due to my previous damage record, and that they would not let me take the car. After a protest, and a referral to the supervisor, they reluctantly ‘allowed’ me to hire the car I had booked, provided of course that I paid their full insurance (an extra 100 EUR)! Knowing what awaited me outside with all the other Car hire firms, it seemed little point in not just accepting this so we could start our holiday. Nothing much changes. We have hired cars several times recently in Germany. There are a number of excessive hidden charges which can only be found in the small print. 1. Extra driver. We hired a car and asked about the cost of an additional driver. The additional cost was more than the cost of hiring the car with one driver. This is a major rip-off. I doubt that there is any justification for charging extra, indeed there may be a case for charging less since there is less likelihood of there being a tired driver. 2. Child seats. Compulsory of course, but charged extra, typically 5 to 6 euros per day. 2 weeks hire is then enough to buy a brand new seat. Several times, we were given older, well-used child seats. Nothing wrong with them, but proof that the hire companies do not regularly buy new ones. 3. Extra if you want to cross a European border with the car. What happened to EU wide rules? I have hire 5 times from Goldcar and the first time all was fine. The next three pick up all at Malaga the counter staff added smart return 12.36 and stated this was extra tax, I complained and received a refund and on each occasion I was on full to full contract. But on the 5 booking counter staff again added smart return and EXTRA NEW 24.75 which they said was a new airport tax and they would not remove it. I complained and they refunded 12.36, but they are refusing to return EXTRA NEW saying it gave me extra mileage. I was only going from Malaga to La Cala and local shopping as I was decorating my apartment, they can see I did not need this and yet refused a refund. This last incident was May 2018 and I have written to them again asking for review as it may just be some staff doing this, if that is the case I hope senior management will deal and refund. If they do not then we must find out if staff are doing this with managements blessing. Does their wages rely on theft from customers? Answer to your last sentence….probably “Yes”. I’ve been a Goldcars regular for a few years and have been OK as l avoid the extra insurance trick. In May however they charged me for 654K travelers, when I had travelled 116. Dispute ongoing but won’t use them again.